Hi, Martine Clark here to talk about my job sharing experience as part of National Work Life Week. Lee Almond and I are joint Programme Directors for our Enterprise Data Hub (EDH) – HMRC’s big data platform, which is transforming how HMRC uses its data and opens up a wealth of new analytics possibilities. Lee works Monday and Tuesday, I work Thursday and Friday and we both work together on Wednesday. Many organisations, including HMRC, recognise that achieving a sensible work life balance is tough – having a job that is challenging and satisfying, while still having enough time at home. In fact, half of parents say their work life balance is a source of stress. Too often the way work is organised stops people with family responsibilities from reaching their potential. Eight out of ten mothers and seven out of ten fathers agree they would assess their childcare needs before taking a new job or promotion meaning both genders now feel they might have to downgrade their careers in order to care for their families. Way before we met, Lee and I both had periods of maternity leave after which we arranged to return to work part-time to try balance our new responsibility as parents but also do the work we enjoy, and of course, earn a wage. This arrangement suited us to a certain extent but we both felt like we were coasting in our jobs. We wanted to find a way to continue progressing with our careers while remaining part-time. 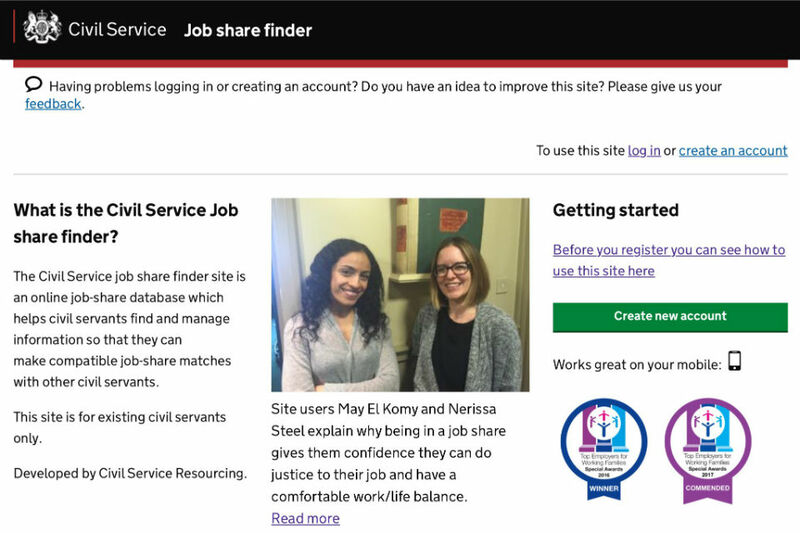 Then we both found out about the Civil Service job share finder. The finder can be used by anyone at any grade in the whole of the Civil Service. You just fill in your details like location, preferred working pattern, grade and experience. The site matches you with potential job share partners, sends you their details so you can meet up and talk about the possibility of a job share. Luckily I found Lee, and the rest is history. 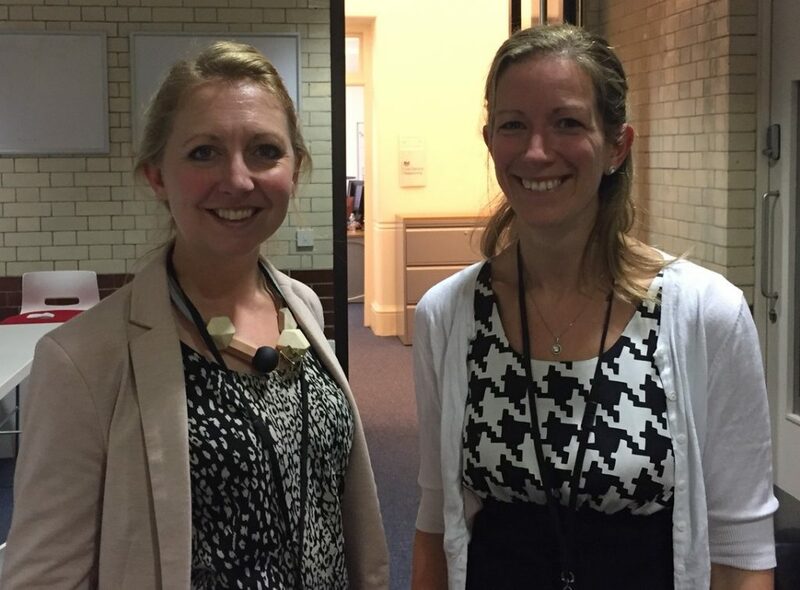 Lee and I have been working in a job share since May, and moved into our current role of EDH Programme Director in August. It’s been great so far. Leaving work on a Friday, knowing the work I’ve started will continue on Monday and Tuesday, without a sense of guilt for abandoning my team or my customers, is such a relief. Having a work partner to bounce ideas off, discuss the right approach and quietly ask the stupid question to is invaluable too. I’ve heard people say that the step up to becoming a Senior Civil Servant can be lonely. There’s certainly no loneliness in a job share. We’ve tackled some of the things we were worried about well, we speak all the time, we text all the time, and we make time for regular coffees and/or wine (out of the office, of course) to be really frank with each other. There’s no mistaking that making a job share work takes a lot of effort. We have a joint job share email address so we don’t miss anything, but we both still need to invest a lot of time in being very organised. I do a handover note on a Friday and clear the inbox ready for Lee on a Monday morning. Lee does the same on a Tuesday night. Wednesdays can sometimes feel a bit like organised chaos as we run through several days’ work in just a few hours. It’s also emotionally tricky letting go of the complete control of a role and team. We have to be very self-aware, and aware of each other – it’s like starting up a relationship at the same time as learning a new job. We’re also putting ourselves under considerable pressure to make sure we don’t let the other down. But overall, we both think that it’s been absolutely and completely worth it. Being able to take on such a big role, while still having two full weekdays at home with my family, is incredible. I’ve been really impressed by the support we’ve received across the board, from our line manager, suppliers, and from all our programme stakeholders. Having two managers could easily unsettle a team; but ours has been nothing but supportive. There aren’t a lot of job shares around at the moment, and it feels like everybody we encounter is personally invested in helping make this one work. And we would both definitely recommend anyone to look into it, no matter what level you are.